In today’s digital business world, organizations need their websites / applications to be competitive. They do not want to face a scenario where their customers get to receive responses such as – “This page is currently unavailable”, “HTTP Error 503”, or “this transaction cannot be processed now”, etc. Websites and applications should be built in such a way that they offer seamless experience to customers and facilitate efficient online business transactions. Organizations must evaluate their websites / applications to understand if they are capable of serving real-time high traffic loads. Load testing helps mitigate any such risks and ensures acceptable performance of your website / software / application. Load testing, a part of performance testing, is the process of putting a software or application through both normal and anticipated peak loads to measure its response in such conditions. In load testing, tester assigns the largest job to the system that it could possibly handle. It allows you to find defects including load balancing problems, capacity issues of the existing system, and bandwidth concerns before your customers are exposed to them, saving you from facing unpleasant situations. Load testing is about verifying performance of a system under a stimulated multi-user, multivariate workload. It should not be confused with functional testing or stress testing. It is a part of performance testing, which determines the speed and effectiveness of a software or application. There is a thin line between load testing and stress testing. Load testing ensures that a software / system handles the load it is designed to handle, whereas stress testing is overloading the system until it breaks so that the risk involved at the breaking points can be analyzed. Through stress testing, one can be prepared for the unexpected slippages, and explore the limits of a system’s performance capacity. Similarly, load testing is far different from functional testing. Their goals, the necessary skills to perform, test scripts, tools & technologies, and the stages in which they are conducted in production cycle – all are different. Functional testing is conducted to test functions of an application or system and ensure that they work as they should and what users want them to do; whereas load testing is executed to ensure that a given function can simply handle what it’s intended to handle. Though you are the one responsible for load testing, it might not be possible for you to do it effectively since you might not be having the knowledge of every scenario in the system. You need to identify the person who is in charge of each and every part of the system so that they can provide / guide you with the right monitoring tools or be present while you are doing the test. Unlike the case with functional testing, a tester cannot continue load testing when a bug is identified. It needs to be fixed to move ahead. For e.g. ‘response time’ is invalid if you have identified an error. Once an error is fixed, the system has to be re-tested for accurate results. By analyzing the metrics, bugs can be identified and then fixed. 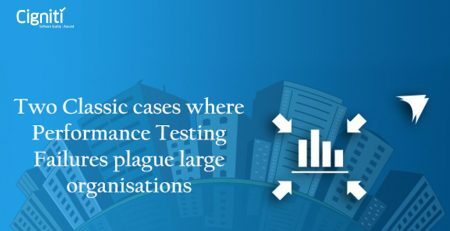 Subsequently, you can run the tests again, analyze the metrics which may prompt you to create and run other specific tests. No system is perfect. There will always be an error if examined. Therefore, testing a system should be restricted until you achieve acceptable performance. After that point, rather than focusing on load testing a system to make it outperform your performance goals, you can strive to produce a system with state-of-the-art functionalities. 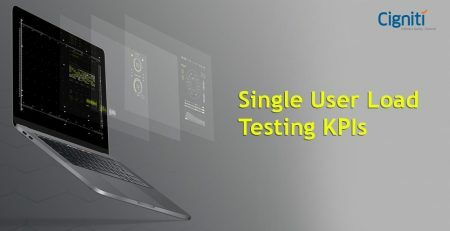 With 15+ years of software testing experience coupled with in-depth domain knowledge, Cigniti offers best-in-class performance testing services which includes load testing. We have deep expertise in proprietary, open source tools and technologies (e.g. JMeter), and third-party tools (Load Runner, VSTS). 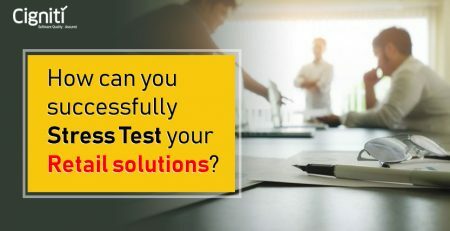 Reach us for your performance testing challenges and we will help you to take the right approach.